Riverglen House of Littleton offers all private apartments with full baths and kitchenettes. Residents can choose between four different styles of apartments: Studios, Alcoves, One-Bedroom, and Two-Bedroom Apartments. They can also choose to have a Riverfront apartment that looks over the mighty Ammonoosuc River. Residents enjoy dining in our beautiful riverfront dining room for all three meals each day. Each meal consists of a special for the meal as well as choices from menu that offers at least 6 entrée choices for each meal. We also can cater to any special diet request a resident may have. Residents of Riverglen House have the opportunity to participate in a number of fun and diverse activities throughout their stay at Riverglen House. There is always fun to be had whether it be at one of our bingo games, our daily exercise classes, or at our wine and cheese socials, which always involve live entertainment. Our wellness staff is caring, kind, and compassionate for all of Riverglen House’s residents. We have 24 hour on site LNA’s, Licensed Nursing Assistants, as well as a Registered Nurse, on-call 24 hours a day. We are a licensed Assisted Living Community so we can perform any of the Activities of Daily Living, ADL’s if a resident needs our assistance. ADL’s can be considered anything from medication management, to toileting, to dressing, or to bathing. Using only the highest form of technology, we can ensure safety for all of our residents. With state of the art security systems in place, we can monitor our residents to guarantee the wellbeing of our community. Residents and family members also benefit for our use of a documentation software program that allows our staff to keep up to date with any of our resident’s current health requirements, if they need it. 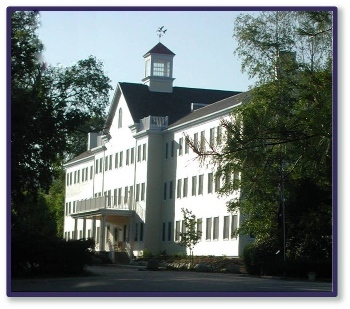 Riverglen House Independent & Assisted Living Community has been added to your trip.